A nice 20/1 return there. This tournament, held at the Le Golf National, has been won in the last two years by Graeme McDowell. It’s a great tournament won by various nationalities and is known as the Alstom Open De France. It dates back to 1906 and has been part of the European Tour since 1972, the very beginning of the European Tour. It was called the French Open then. Lot of epic winners over the years. Greg Norman. Bernard Gallacher. Seve Ballesteros(who won it 4 times). 3 time winner Nick Faldo. Colin Montgomerie. Martin Kaymer. It’s a rich tournament with a rich history, and we’re really looking forward to it. Odds all from Bovada for Americans. 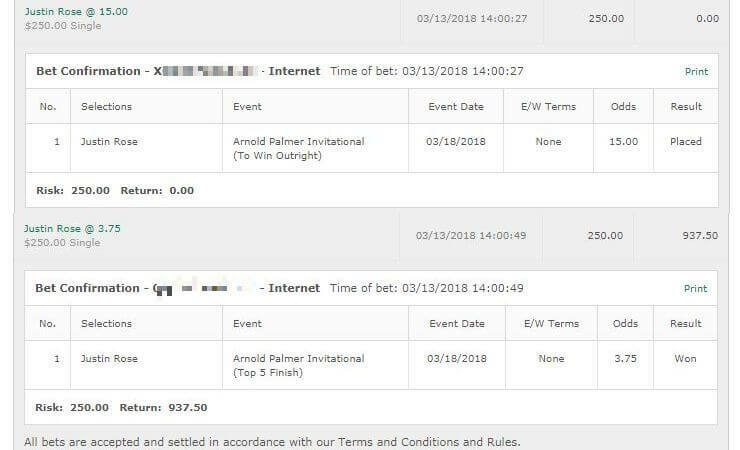 It’s risky as hell betting McDowell to win it for a third time in a row – but the price is just right. If it was 20/1 or below I’d recommend staying away but his course form makes 25/1 a +EV bet. Even in 2012 when he didn’t win he had a respectable 17th place finish, and his last two years here he has played some exceptional golf. He’s going into this on the back of some piss poor form though, so we’ll only risk a quarter unit on him. Bet: Quarter unit on McDowell to win and E/W, bet at Bovada for Americans. 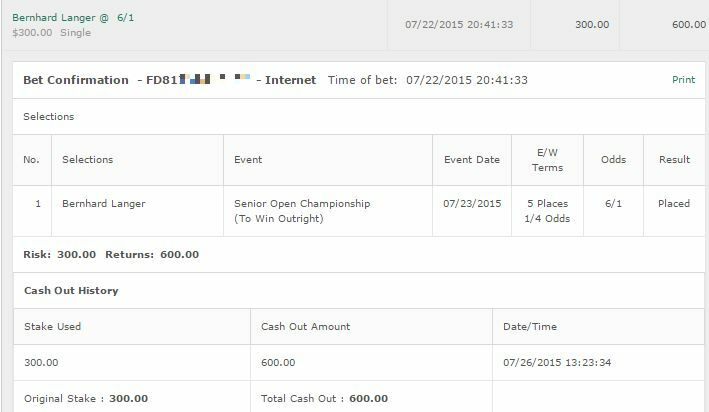 A big price at 100/1, and it’s been 5 years since he last won a European Tour tournament. However he had a 10th place a few weeks out to suggest he has a bit of form, and he actually has a solid history here with quite a few top 10 finishes. It’s a risky one but he stuck out to us on the simulations and 100/1 is too high a price. Bet: Another quarter unit bet. Bet at https://www.GTBets.com. That’s it for the European Tour unfortunately. A quiet week with no Champions Tour or LPGA. 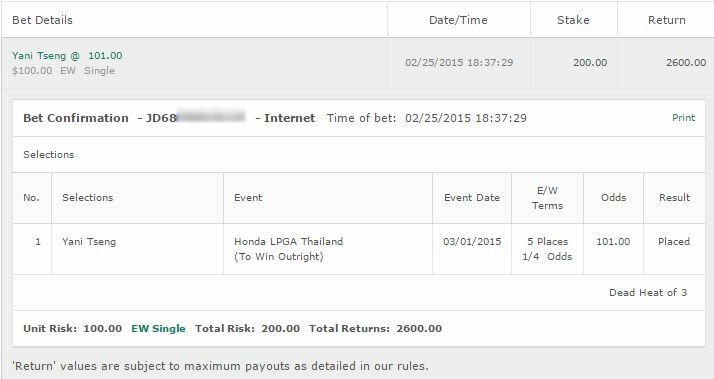 Last week we started handicapping the Web.com Open. It’s still in the beta stage but we’ll post our tips here as an addition. This week just the one pick in the Nova Scotia Classic which is the 40/1 Ryan Spears. Quarter unit only.